We’ve been quite busy the past few weeks. First we attended the Workboat Maintenance and Repair Expo in New Orleans in mid-April. Then we sponsored the Bering Sea Fisheries Expo in Seattle on April 30. Then it on to Houston for the Offshore Technology Conference. Whew! I blogged about the Workboat show here. The Bering Sea show was a lot of fun. We were one of the sponsors and had a table in the lobby area, along with a dozen or so other companies involved in the fishing industry. There were several interesting presentations, including speakers from Jensen Maritime Consultants and Guido Perla & Associates on the topic of new boats being built here in the Pacific Northwest. They talked about the design-build process, new technology, and a lot more. The value of harvesting every part of the fish was also discussed, along with new ways that fishermen are doing that. 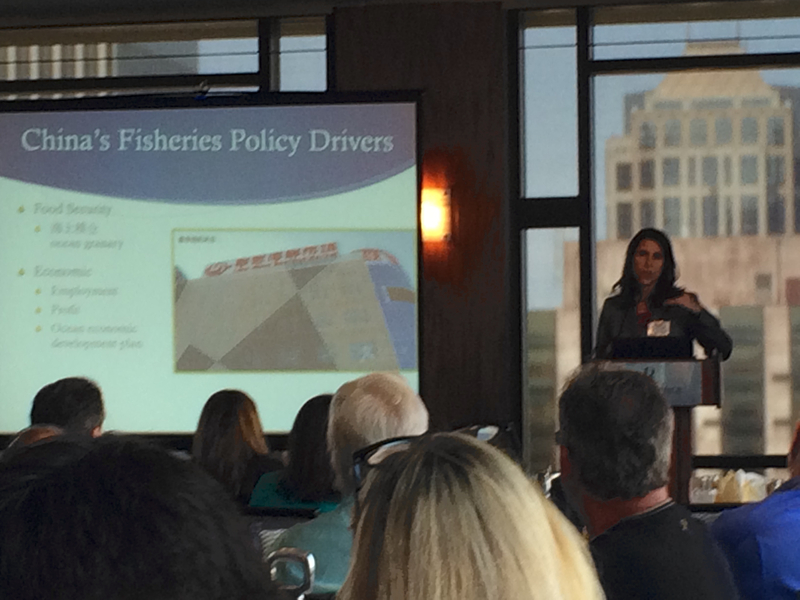 Other topics included regulatory issues, financing, and sustainable seafood products. Dr Tabitha Grace Mallory from The National Bureau of Asian Research gave a fascinating presentation at lunch about Chinese fishing and their growing impact on the global seafood market. She specializes in Chinese foreign and environmental policy and is writing a book about China and global fishery issues. This was a great conference: I met a lot of interesting people, answered questions, and enjoyed a lot of good food. The OTC show was enormous, with nearly 3000 vendors from 130 countries and nearly 100,000 people in attendance. Occupying both the arena and Center buildings at NRG Park in Houston, this show covered pretty much everything having to do with the offshore industry. Oil rig designers, builders, and suppliers were everywhere of course, but also companies dealing with offshore energy projects, shipbuilding, maintenance, and support services of all kinds. We found several new suppliers at this show, adding to the vast selection of parts we already offer. I went to this show with Chris Complita, the ace Parts guy here at Teknotherm. Good thing, because it took both of us to cover all that territory! Houston traffic lived up to its reputation and the hotel rooms were quite expensive, but the weather was nice for that time of year. We met with several of our good clients in the area, and even drove up to Bryan to visit some folks up there. A productive and interesting week. 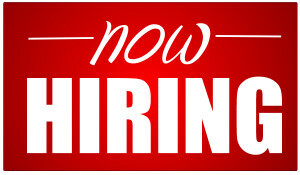 Teknotherm Refrigeration has an opening for a Project Engineer. The Project Engineer will report to the Senior Project Engineer. This is a good opportunity for an EIT wishing to get their license as they will be working with a PE. The Project Engineer’s work will primarily consist of design and drawings for industrial refrigeration systems, mostly for fishing vessels and shore plants. You would work with clients and Teknotherm engineering and technical staff in support of projects ranging from service work to full refrigeration plant design/build projects. Also, you would assist the Senior Project Engineer and sales staff in preparing quotes for new systems and to prepare service manuals for new systems. Teknotherm is a great place to work. We maintain a professional work environment and have an awesome, friendly team. Excellent pay. After 90 days, benefits include paid medical, dental, vision, 401k with company matching, vacation, sick days, and paid holidays. If interested, please e-mail a cover letter explaining why you are a good fit for this position, a detailed resume listing relevant skills and experience, and professional references.